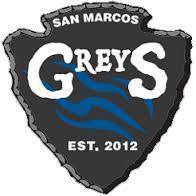 JOB SUMMARY: – Assist with all phases of the San Marcos Greys Rugby Football Club including, but not limited to: preparation, oversight and execution of practices, as well as game coaching and player/substitution management. Provide instruction and guidance for players as needed/requested. REQUIRED EDUCATION/EXPERIENCE/SKILLS: – Demonstrated experience coaching men’s club rugby and managing athletic groups in either squads and/or teams. A minimum of USA Rugby Level 200 Coach Certification and 5 years of relevant experience in coaching rugby. – Demonstrated effective organizational and communication skills. – Ability and willingness to work long hours on evenings and weekends. – Ability to work well with a variety of individuals. PREFERRED REQUIREMENTS: – USA Rugby Level 300 Coach Certification and 10 years of experience coaching men’s club rugby or higher. Interested applicants MUST forward their cover letter and resume to coach@smrugby.club. This is a Head Coaching position, with significant allowances for personal initiative in the development of training regimens and game day strategy. Significant latitude will also be given in the areas of player selection and team management. However, this position is ultimately answerable to the club members in general, and to the club officers/board of directors in particular. Successful applicant will be expected to attend two (2) practices per week in San Marcos, TX, and games at both home and away venues. Fuel allowances will be provided as part of negotiated compensation.